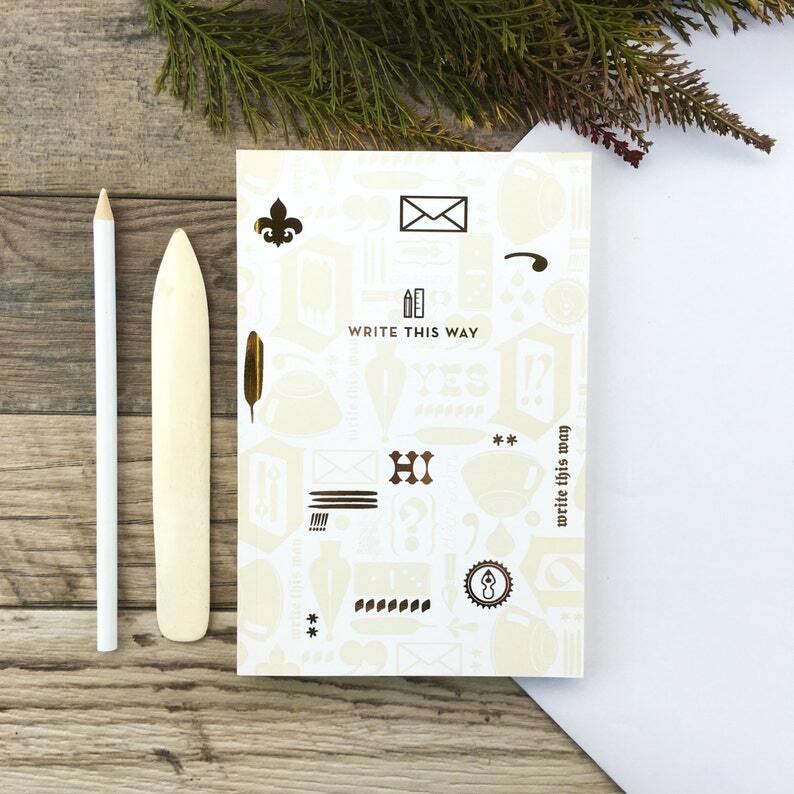 This large notebook has a mix of both lined and plain pages, featuring a premium matte cover with metallic gold accents. It is bound using the perfect binding method and is designed, printed and assembled by hand. All notebooks will come packaged in a crystal clear sleeve. **Orders will be shipped USPS first class, or USPS priority for larger orders.